Washington: Donald Trump’s administration announced Tuesday it was speeding up plans to send US astronauts back to the Moon, from 2028 to 2024, calling for a “spark of urgency” to prevail over delays that have plagued NASA’s lunar return plans. 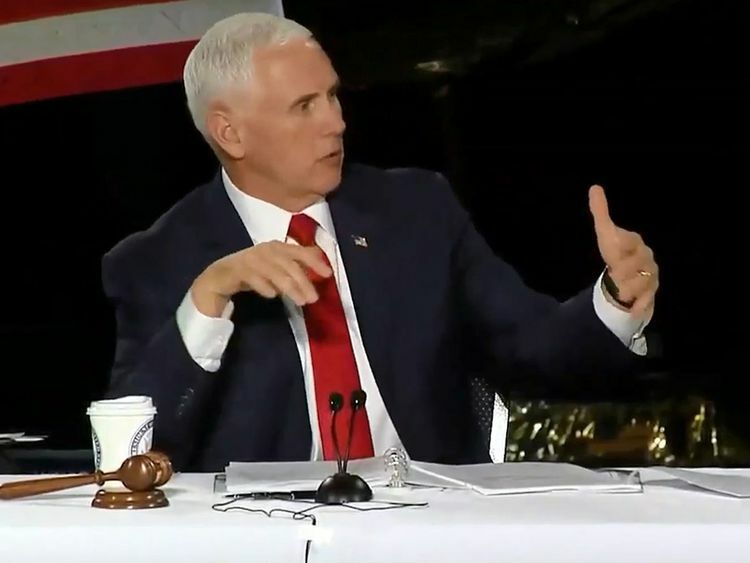 “It is the stated policy of this administration and the United States of America to return American astronauts to the Moon, within the next five years,” Vice President Mike Pence vowed in a speech in Huntsville, Alabama, the “Rocket City” where American launchers have been built since the 1960s. “Let me be clear, the first woman and the next man on the Moon will both be American astronauts launched by American rockets from American soil,” he said, echoing previous declarations by NASA chief Jim Bridenstine that a woman could be the next human to set foot on the Moon. “That’s just not good enough. We’re better than that. It took us eight years to get to the moon, the first time, 50 years ago, when we had never done it before,” said Pence, who heads the White House’s National Space Council. He said the US was engaged in a present-day “space race” under Trump, this time against China, just as the country was in the 1960s under President John F. Kennedy against the Soviet Union. “To be clear, we’re not committed to anyone’s contract. If our current contractors can’t meet this objective, then we will find ones that will,” Pence said. He didn’t mention SpaceX or other companies by name, but the allusion was clear, as SpaceX currently has rockets capable of launching heavy loads into space. “We got it loud and clear,” NASA head Bridenstine responded to the vice president. He assured the gathering that the SLS rocket would be ready in 2020.